Ocean Audio entered the audio industry quite recently when their first product the Ocean Audio ARK console created a buzz a couple of years ago. This was the first console to provide 500 Series slots for both their own modules and 3rd party modules. However, the man behind the name, Malcolm Toft, is no stranger to the audio world having over 40 years of engineering and audio design experience. Malcolm, as well has having a successful engineering career, co-founded Trident Audio Developments in the early 1970’s overseeing the design and release of their legendary Trident A Range and Series 80B consoles. 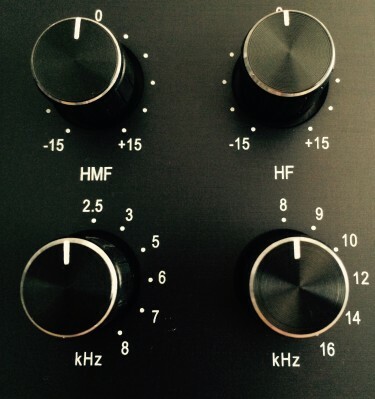 The Signature Three Dual Channel EQ caught my attention the minute I plugged it in. There was something very familiar about the sound I was getting …and I liked it...so I started doing my research and realised what it is. I don’t hide the fact I love Pultec EQ’s and there is something very smooth and ‘Pultec-ish’ about this EQ due to the use of Inductors in the design. Inductors, for whatever reason, seem to resonate well with myself, perhaps it's because they add some pleasant saturation that reminds me of my analogue tape days or whether it’s due to my enjoyment of Pultec EQ's, but either way the Signature Three ticks all the boxes! The Ocean Audio Signature Three is unusual in that it has custom wound Inductors in every band. 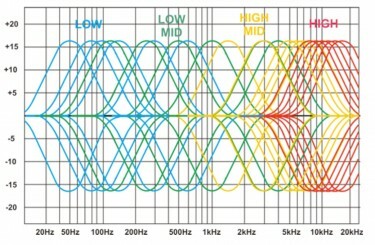 Usually many EQ's use a mix and match of design technology, with Inductors used only on certain bands to keep the costs down. There are 6 fixed frequencies in each range and these are all peaking EQ’s ( no shelving here ) and mostly are an Octave apart with continuously variable cut and boost of +/- 15db. 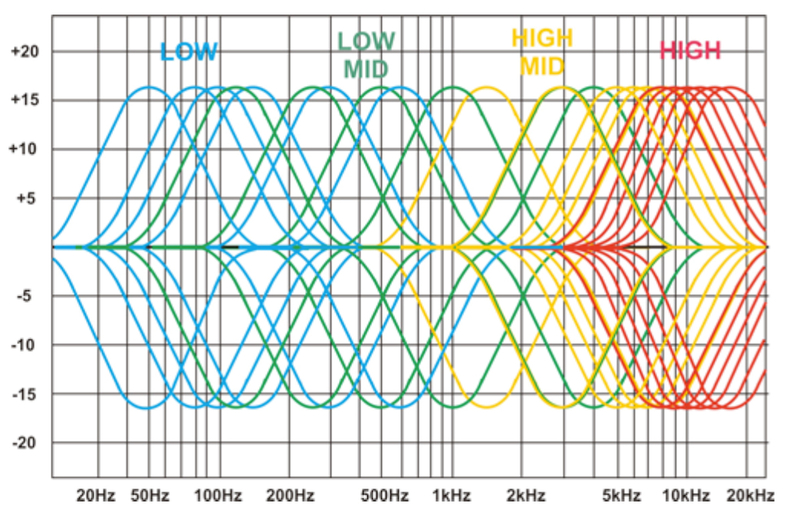 The frequencies and peaks are overlapping and provide a very accurate left and right channel match. Inputs and outputs are balanced on XLR and Jack, which is a nice touch, and Malcolm has chosen all Discrete Transistors rather than Op-Amps throughout as he feels he can power the units on higher voltages, providing more headroom. There are plenty of Op-Amp based products out there that do work but Malcolm has chosen a design path and is sticking to it, which is admirable as it works very well. High quality, classic, conventional components have been chosen which are hand-wired and constructed using through-hole mount rather than surface mount technology. This ensures that products should be service-able throughout their lifetime with ease. As the manufacturing and design is based in the UK, quality control is overseen by Malcolm himself. I found myself using it more on Sub Groups and the MixBuss than individual Stereo sources, but perhaps that was where it was sounding best for the material I was working on. The left and right matching is easily achieved, and the controls feel solid with centre indents on the cut and boost controls. The frequency switches feel great, with an understated quality as you switch between choices. Whether it would be used for Mastering purposes without dented cut/boost controls, that would be down to personal preference and may be the only question mark. Adding dented controls I’m sure would add to the cost considerably so was probably factored out at the design stage. 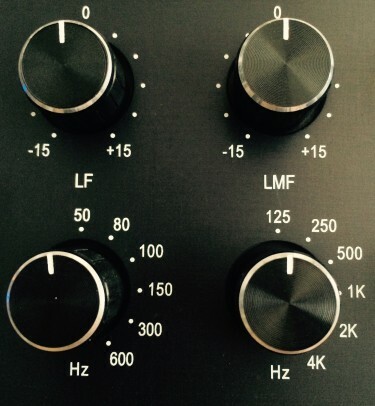 But for sub groups and mix buss duties this is one very smooth EQ. The bypass switch completely removes the electronics so you’re left with just the input and output amp, and there is a peaking indicator that comes on at +15dBm ( however Malcolm states there is headroom up to +28dBm ) so it’s just an indication LED rather than an actual overload. Boosting the low end is tight, with none of the superfluous baggage you sometimes get, and throughout all the frequencies chosen there is a tightness and control that supports the music, it doesn’t cloud it. There is ‘air’ when required and detail and presence a-plenty without ever sounding harsh. Perhaps I would’ve liked a 30Hz below the 50Hz just for those occasional SubBass club moments - but if you’re looking for something for your mixbuss the Ocean Audio Signature 3 is worth auditioning. The fact it is all Peak EQ is part of the charm and character, and alongside those Inductors I feel it adds a natural texture to a mix.